Identity and access management lockout. Webster’s defines “holistic” as “relating to or concerned with wholes or with complete systems rather than with the analysis of, treatment of, or dissection into parts.” Nevertheless. Avatier, however, recognizes not only the sense, but also the need for a holistic approach to automated user provisioning. That’s why the company this week introduced Identity and Access Management Holistic Definition (IAM HD) at the Gartner Identity and Access Management (IAM) Summit in Las Vegas. The concept behind IAM HD is a business-driven approach with a clearer, broader vision that encompasses all aspects of group management software and user provisioning for the organization as a whole. 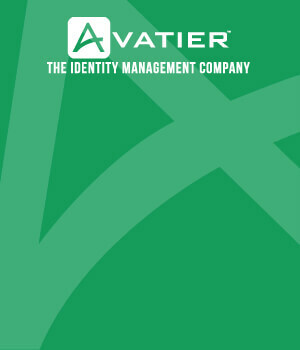 In his presentation yesterday at the opening of the Gartner summit titled “Leveraging Today’s Megatrends to Drive the Future of Identity Management,” Avatier CEO Nelson Cicchitto identified this holistic approach to enterprise risk management as the next step in the evolution of identity access management software. He explained that focusing on the entire enterprise rather than zeroing in on just one element can have a dramatic influence in protecting brands, guarding data and increasing business productivity, while also streamlining IT department processes and honing the roles IT managers will play in its adoption. 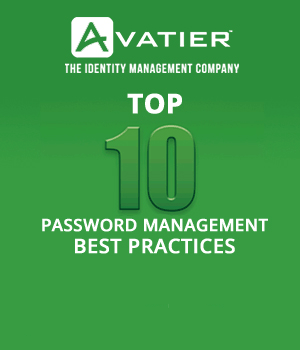 Cicchitto added that Avatier’s IAM HD provides all the features of requesting, approving, tracking and granting assignments, yet it provides them not only to applications, but also to access for all corporate assets including systems, facilities and equipment. IAM HD eliminates implementing point solutions to handle each of these individual silos and puts everything into one holistic solution, avoiding the resource intensive and disjoint nature of a fragmented response to security and compliance management. The announcement of IAM HD was just one of Avatier’s many activities this week at the Gartner summit, for which the company is once again a sponsor. In addition to announcing IAM HD, the company also launched Compliance Auditor, a new access certification GRC software solution that allows auditing of virtually any system or asset on the network at any time and from anywhere. More information about the company and its innovative visions for identity access management software are scheduled to be presented today (Tuesday) and Wednesday at the Gartner Summit in an invitation only discussion of Avatier’s unique vision for the company’s strategic roadmap.